This is the story of trademark in China—and how wine companies survive. If a business even contemplates entering the Chinese market, it is generally recommended that a trademark application be filed before any product or service is present in China’s market. Failure to file trademark registration can allow third parties—referred to as brand “squatters”—to register the mark. This presents many problems: the prior registration of the mark can block the true brand owner from registration or force the owner to change its name to enter the Chinese market. Other times, a brand owner is forced to pay exorbitant fees to the third party registrant in order to procure the rights to the mark. The wine industry is not immune from trademark issues in China. Many wine companies seeking to establish a presence in China’s market encounter the aforementioned hurdles. To exacerbate the situation, importers in China will not distribute wine whose brand is registered to another party in China, thus blocking the wine from being sold in the Chinese market. 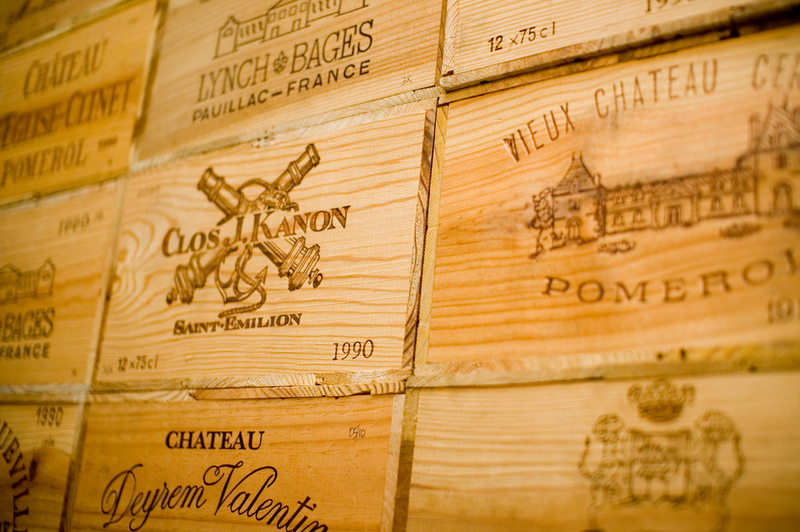 Two Bordeaux wine companies recently won a battle against third party registrants in China. In May, Château Ausone opposed the registration of a Chinese ideogram that translated to “Ausone.” Although Ausone did not hold registration rights to the mark, the CTMO found in favor of the château. The CMTO recognized the registrant, who previously registered the marks of other châteaux, acted in bad faith. A similar victory emerged for négociant Barrière Frères in July. The négociant opposed the registration of a ship logo, claiming the registration was too similar to Barrière Frères’ iconic Grand Bateau logo and thus risked consumer confusion. The CMTO sided with Barrière Frères and recognized the company’s ownership of the mark even though the CMTO previously approved the third-party registration. The victories of both Ausone and Barrière Frères indicate that China might be moving in a new direction and eschewing its first-to-file process. The CTMO recognized the prior registrations of third parties but voided them for bad faith intent and consumer confusion and awarded the true brand owners with the rights to the registration. While favorable to brand owners, one questions remains: is China’s recognition of prior use in commerce here to stay or simply ephemeral? Such decisions gave high hopes to the wine industry but subsequent instances suggest that China’s willingness to defend legitimate brand owners may have been a quirk. In July, a Chinese wine distributor, Panati Wine Co., Ltd., won trademark rights against an established French wine company, Castel Frères. Although Castel’s wine was present in the Chinese market since 1999, the company did not register its mark and thus Panati, who filed first, established rights to the mark. Further, in October, Château Listran changed its brand name from Listran to L’Estran. This alteration in name, while similar to the original, was not performed voluntarily. The French winery was forced to change its brand name because a third party in China registered the name Listran. Unlike Castel, Listran pursued the least litigious option. In doing so, while avoiding the exorbitant payouts and associated costs, the château inevitably allowed a third party to use not only the brand’s actual mark, but the goodwill accompanying Listran’s decades of history. Simultaneously, Listran sent China a powerful message: the château will not be victim to the excessive demands of trademark squatters. China’s hostile process rewards brand squatting and leaves companies with controversial options: pay out, change an established brand name, or leave the market. While larger wine companies may be willing and equipped to fight a trademark battle in China, this atmosphere is daunting and deterring to smaller wine companies seeking to gain even a sliver of market share in the country. However vicious the process seems, there is sign of improvement. In August, the People’s Republic of China adopted amendments to its Trademark Law. Of relevant interest are the amendments that encourage good faith registration and discourage trademark squatting. The new law adds a provision to Article 7 that indicates, “[a]ny application or usage of trademark shall abide by principles of good faith.” In practice, such an article creates an imperative duty on behalf of the applicant and should bestow a true brand owner with enough leverage over bad faith registrants or uses—although much will depend on the new Article’s enforcement by the CTMO. Still, the new law fails to directly comment on the idea of prior use in commerce—which paints a rather nebulous picture of China’s treatment of international brand owners under the new law. Third party registrants can just contend that registration of the mark was done in good faith, leaving true brand owners with an unclear path to restitution. Perhaps the redress is to materialize from the Law’s new Article 58, which states that infringers who use a famous registered or unregistered mark as the name of an enterprise will be “handled in accordance with the Anti Unfair Competition Law of the People’s Republic of China.” However, Article 58 requires additional conditions for an infringer to be prosecuted: the use of the mark must confuse the public and the use must constitute unfair competition. In the above scenarios with Castel and Listran, it is unclear how such an article would have applied (if at all). Albeit far from ideal, these new amendments may have a significant effect on China’s trademark system, making such instances like those with Castel and Listran less frequent—with those similar to Ausone and Barrière Frères more common. Citation: Lindsey Zahn, No Wine-ing: The Story of Wine Companies and Trademark in China, 1 Cornell Int’l L.J. Online 58 (2013). * Lindsey A. Zahn is an attorney in New York where she focuses her practice on alcohol, beverage, and food law. She holds a J.D. from Brooklyn Law School, a B.S. in hotel administration from Cornell University, and a University Diploma in transnational wine trade law from the Université de Reims Champagne-Ardenne. She is the author of On Reserve: A Wine Law Blog (www.winelawonreserve.com). See Melanie Lee & Lee Chyen Yee, China’s Trademark System Baffles Foreign Firms, Reuters (Feb. 17, 2012), http://www.reuters.com/article/2012/02/17/uk-china-trademark-idUSLNE81G02520120217. See generally Scott A. McKenzie, Global Protection of Trademark Intellectual Property Rights: A Comparison of Infringement and Remedies Available in China Versus the European Union, 34 Gonz. L. Rev. 529 (1998) (discussing China’s intellectual property system). See Lee & Yee, supra note 1. See Dan Harris, WHEN to Register Your China Trademark, China Law Blog (Nov. 24, 2009), http://www.chinalawblog.com/2009/11/china_trademarks_the_apple_of.html. See generally Stephanie M. Greene, Protecting Well-Known Marks in China: Challenges for Foreign Mark Holders, 45 Am. Bus. L. J. 371 (2008) (discussing the trademark hurdles large corporations encounter when entering the Chinese market). See, e.g., Chris Mercer, Castel Takes Trademark Battle to China’s Supreme Court, Decanter (Oct. 28, 2013), http://www.decanter.com/news/wine-news/584490/castel-takes-trademark-battle-to-china-s-supreme-court (detailing the years of obstacles faced by French wine merchant Castel in an attempt to register its trademark in China). See Jane Anson, Bordeaux Chateau Changes Name to Bypass Chinese Trademark ‘Squatters’, Decanter (Sept. 26, 2013), http://www.decanter.com/news/wine-news/584396/bordeaux-chateau-changes-name-to-bypass-chinese-trademark-squatters. See Rupert Millar, Ausone Wins China Trademark Case, Drinks Business (July 22, 2013), http://www.thedrinksbusiness.com/2013/07/ausone-wins-china-trademark-case/; Jane Anson, Chateau Ausone Wins Trademark Case in China, Decanter (July 22, 2013), http://www.decanter.com/news/wine-news/584186/chateau-ausone-wins-trademark-case-in-china#UvK3FbFZz0Ey6M9M.99. See Largest Trademark Lawsuit in China’s Wine Industry Won Against French Castel, Lexology (Aug. 20, 2013), http://www.lexology.com/library/detail.aspx?g=d471e0f5-cd07-4b1e-aaab-51ae983bc9d3. Castel is one of France’s leading producers and the top brand of imported wines in China. See Anson, supra note 8. See China’s New Trademark Law: What’s In Store?, Hogan Lovells (Sept. 2013), available at http://www.hoganlovells.com/files/Publication/a812c22f-d397-456b-b8d4-cd8c7f5f5bfc/Presentation/PublicationAttachment/2c129caa-c5a4-46e8-a6b1-ce6c67e162fb/China%E2%80%99s_new_Trademark_Law__what_s_in_store_-Sep__2013_.pdf. Trademark Law of the People’s Republic of China (2013, Comparison Version), Bridge IP Law Commentary (Sept. 11, 2013), http://www.chinaiplawyer.com/trademark-law-peoples-republic-china-2013/. China’s new law also prohibits a trademark agency from registering a mark in bad faith. Id.